Training must be included in the 9th-12th grade curriculum. The course CPR is taught in is left to the discretion of the district. 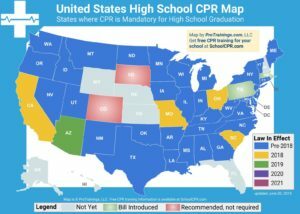 CPR is not a graduation requirement. Training must cover adult CPR & AED and must include a hands-on practice component. Training must be in accordance with standards of the American Red Cross, the American Heart Association, or another nationally recognized certifying organization. Beginning with the 2014-2015 school year, training on how to properly administer cardiopulmonary resuscitation (which training must be in accordance with standards of the American Red Cross, the American Heart Association, or another nationally recognized certifying organization) and how to use an automated external defibrillator shall be included as a basis for curricula in all secondary schools in this State. At this time, there is no official guidance from the Illinois Department of Education. 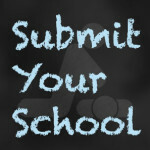 We will update this website as soon as a new resource becomes available. School districts may use either of these programs to fulfill the new CPR training requirement.